Motorcyclists who meet certain requirements have had the freedom to ride without a helmet in Michigan since 2012. Hundreds of motorcyclists are expected to rumble into Lansing on Wednesday to deliver a blunt message: Don't mess with Michigan's helmet law. “Our perspective is that this is a freedom issue and an individual rights issue,” said Jim Rhoades of ABATE of Michigan, the nonprofit cycling rights group that pushed for the 2012 repeal of Michigan's law requiring motorcyclists to wear a helmet. Message apparently heard. Legislators who backed the 2012 repeal are showing no inclination to revisit the issue, even as evidence continues to mount of the human and economic toll of unprotected heads colliding with pavement. According to Michigan State Police data, 138 persons were killed in 2015 motorcycle crashes – higher than any year dating back to 1985. From 2000 to 2011, an average of just under 112 motorcyclists were killed a year. From 2012 – when the helmet repeal took effect - through 2015, that number averaged nearly 126 persons, a total of 56 additional deaths. Spectrum Health Butterworth Hospital in Grand Rapids found higher mortality and medical costs among riders in crashes not wearing helmets. The study looked at 345 motorcycle crash victims over the course of four years, before and after repeal of the 2012 mandatory helmet law. Over that same period, a 2016 hospital study found, of 345 motorcycle crash victims brought to Spectrum Health Butterworth Hospital in Grand Rapids, 10 percent of riders who were not wearing helmets died, compared with 3 percent of riders who wore helmets. Riders not wearing helmets also had more severe head injuries, spent more days in intensive care, and more time on a ventilator, the study found. The average hospital cost for non-helmeted riders was $27,760 – 32 percent higher than for those wearing helmets. Dr. Carlos Rodriguez, a trauma surgeon at the hospital and a co-author of the study, happened to be on trauma call the first few days after the helmet repeal took effect. What he witnessed prompted him to take a closer look at hospital and crash scene records for motorcycle accidents. Among motorcycle crash patients brought to the hospital, the proportion of riders who had not been wearing a helmet quadrupled, from 7 percent before the law change to 28 percent after. Riders pronounced dead at the crash scene were also far more likely to have not worn a helmet since the repeal. Before 2012, 14 percent of those who died at the scene were not wearing helmets. After 2012, that number rose to 68 percent. The study, which compared hospital and deadly crash records from 2011 with those from 2012-2014, also found higher alcohol use among non-helmeted riders. Separate crash data from the Michigan State Police indicates that about 30 percent of crash victims were not wearing helmets in 2015. But riders without helmets accounted for about 43 percent of the 130 fatalities for which helmet use was determined. Dr. Todd Vitaz, a Butterworth neurosurgeon, said he has seen the results of enough motorcycle crashes to convince him beyond doubt helmets work. There is no guarantee of surviving a crash even with a helmet, of course. But Vitaz said a helmet can prevent or reduce potential brain damage by absorbing some of the force to a rider’s head at impact. Sen. Tom Casperson, R-Escanaba, chairman of the Transportation Committee, has not shown interest in renewing debate over a mandatory helmet law. State Sen. Tom Casperson, R-Escanaba, chairman of the Transportation Committee and a proponent of the current helmet law, declined comment on the wisdom of the helmet repeal. So did fellow committee member, Sen. Ken Horn, R-Frankenmuth. The office of Sen. Phil Pavlov, R-St. Clair, sponsor of the 2012 repeal, did not return a call asking for comment. In 2014, Casperson told Bridge that a bill introduced that year by state Sen. Rebekah Warren, D-Ann Arbor, to restore mandatory helmet use would not make it out of committee. It never came to a vote. Warren introduced a similar measure in 2015 that has also gone nowhere. “He (Casperson) has never really shown any interest in giving it time on his committee,” Warren said. State Sen. Rebekah Warren, D-Ann Arbor, has introduced bills the past two years to restore mandatory helmet use. They never got a hearing. Warren said she is getting growing support for restoring the mandatory helmet law from medical groups, including the Michigan College of Emergency Room Physicians and the Washtenaw County Medical Society. But that means little if the bill never gets a public airing. “I feel with an issue like this, if we could actually have a hearing on what this means in our emergency room, what this means to our loved ones and what it means to all of us as taxpayers, I think you would change some minds. Under the 2012 law, riders 21 and older may ride without a helmet if they pass a safety course or have ridden at least two years. They are required to carry $20,000 in medical insurance. It repealed a helmet requirement in place since 1969. Democratic Gov. Jennifer Granholm twice vetoed repeal of that law before GOP Gov. Rick Snyder signed it in April 2012, making Michigan the 31st state to let motorcyclists ride without helmets. In the meantime, Rhoades of ABATE said he remains unpersuaded the helmet law has made riding more dangerous. He attributed the 2015 death total to a good riding season that brought out more riders than usual. “The primary thing you have to look at is the weather. If the weather is good over the weekend, more people will be riding. Last year was a great riding season,” he said. The number of registered motorcycles in Michigan has indeed fluctuated wildly over the years, from just under 150,000 in 2003 to just over 250,000 in 2012. But even allowing for the increase, the 2015 death rate of 5.75 fatalities per 10,000 registered motorcycles was the highest since 2005. As for the Butterworth Hospital study, Rhoades said he is skeptical. Rhoades also pointed to evidence that unlicensed riders comprise a disproportionate share of riders who crash. It’s a disparity that ABATE said it has been working to combat, by advocating for rider skills training for all new riders. A 2012 Mlive report found 52 percent of motorcyclists who crashed in the first six months after the helmet law was repealed were not fully licensed, many of whom were apparently exploiting a loophole that allowed motorcyclists to obtain a temporary permit each year without ever passing the skills test needed for endorsement. That was was roughly consistent with state police data dating back to 2008 on more than 19,000 crashes that found only 54 percent of riders who crashed were endorsed to drive motorcycles. In 2014, Snyder signed a measure aimed at closing that loophole. It limits riders to two temporary permits over the course of 10 years. Beyond the Butterworth Hospital study, the Virginia-based Highway Loss Data Institute, an affiliate of the Insurance Institute for Highway Safety, compared medical data involving motorcycle crashes for the two years prior to Michigan’s repeal of the helmet law and the year it took effect. It found a 36 percent increase in the severity of injury claims after repeal and that overall medical payments were 50 percent higher than would have been expected under the mandatory helmet law. Higher medical costs are passed along through higher insurance premiums or hospital charges, which are paid by consumers or absorbed by federal programs like Medicaid. A 2006 West Virginia study that compared states with mandatory laws with those with little or no helmet regulation found notable differences in fatality and serious brain injury rates. According to the study, 16.5 percent of motorcycle crash victims in states without a universal helmet law had a primary diagnosis of brain injury compared with 11.5 percent in states with mandatory helmet laws. The in-hospital death rate in states with no mandatory helmet law was also higher – 11.3 percent versus 8.8 percent. Groups that fought repeal of the helmet law concede there is nothing on the political horizon that would reverse that decision. “When you look at the politics of this right now, there are many other priorities that are taking the time of the state Legislature,” said Tom Constand of the Brain Injury Association of Michigan, a nonprofit that provides support for those with brain injuries and their families. Constand said he is hardly surprised by the findings of the Butterworth Hospital study, noting that his group had predicted exactly that kind of result for non-helmeted riders. In the meantime, Constand said, his group will push for better safety practices among both motorcyclists and automobile drivers as a means of reducing injuries and deaths. “We have to come together on safety as a whole,” he said. Heather Drake, manager of government relations for AAA Michigan, said AAA will continue to fight for restoration of the mandatory helmet law, just as it fought against repeal. But she speculated it could be years before it picks up enough support to gain serious consideration. “I think the legislature is not interested in this right now. We recognize this is a reality,” Drake said. Drake said AAA Michigan will continue to compile data to make its case – that riding without a helmet is more dangerous, leads to higher medical costs and ultimately costs the public with higher insurance premiums or taxes to support government insurance like Medicare or Medicaid. Amen, Diane! You see, there are those who think helmet regulation is bad and for some, too much regulation is good. It depends on the strongest lobbyists. It's bad for insurance companies but good for hospitals. So, let the dummies riiiiiidddde. I think we SHOULD repeal the seat belt law. Read the language on it. It was snuck through and is a money maker law. Freedom always has a cost. Yeah, it's too bad that we're stuck with the medical bills and long term care (Medicaid) for many of these "Freedom" advocates that lack common sense. One of the costs of freedom to not wear a helmet while motorcycling is to survive a crash with a head injury and have to wear a helmet for the rest of your life. Another cost is that the $20K insurance policy is not enough to cover the average cost of a motorcycle accident at $27 +K so if you survive, doesn't the Catastrophic Accident Insurance fund which costs all insured drivers over $150 a year paying the cost? How stupid is that? Motorcycles and riders should have a separate insurance pool and pay for their own costs of health insurance. I'm really not interested in paying higher health insurance costs for "organ donors" who ride without health insurance. The comment above me says "freedom always has a cost". This is a cost I do not want to pay for someone else stupid enough to ride without a helmet..
Well said Robin. If you want to ride without a helmet, you personally should bear the cost of the results of that free choice. Wondering if the organ transplant wait list has been shortened since the helmet law was changed. I ride and would never think about getting on a bike w/o a helmet AND protective gear. People riding without helmets, are living some "Easy Rider" fantasy. ABATE is being completely irresponsible by advocating for it, and those riders lack common sense. Frankly whatever happens to them is really their own doing. I agree completely shocked with ABATE's stance on this! So true. I race and never get on a bike, street or dirt, without a helmet and protective gear. It is not if I fall but when. A blind corner, gravel from the apron sprayed all over the road, and down you go. I found it interesting that alcohol use was higher in those without helmets. Drinking and getting on a bike? That too is crazy. Why is the chairman of the state transportation committee a yooper from Escanaba where they have gravel roads? Riding a motorcycle is fun, but of course entails some danger. If you want to control costs, let's ban motorcycles. No one is arguing here about banning motorcycles, nor as a life long rider would I deny that it's fun. The need to speak in absolutes is not an answer to a legitimate concern. Human's being's tend to minimize personal danger and discount random chance as a factor in any activity. Many riders think that their skill alone is enough or take a fatalistic view of "stuff happens", but I watched my brother spend the better part of a year helping a close friend work through recovery from a helmet-less accident & now he's mentally impaired for life. The thing is that had he had a helmet on then nothing worse than bumps and bruises would have resulted. The fact that some fun stuff is also dangerous doesn't negate personal responsibility to use caution and available safety gear. This is especially true if you have family responsibilities and that your personal choice will unduly burden them for the rest of your life. Sometimes wither we like it or not we do need to be protected from ourselves, especially since the consequences happen to more people than just us. Greetings, I've been riding since my teens (44 years ago) grew up riding behind my dad on his Harly and am out on my own Harly now (coffee stop to read & comment) so I know somewhat of the subject. I know people who have had accidents and one who didn't wear a helmet and is brain damaged for life. Not wearing a helmet has become orthodoxy for some & like reasonable gun laws there's no reasoning with them. Facts don't matter, informed opinion is dismissed and everything becomes about some vaguely defined "freedom" & like the arguments about seat belts & childrens car seats some simply won't get it. Require enough insurance to offset the medical costs & let it go. Feel for the friends & family of these misguided individuals who leave such burdens & pain behind. For me, I'll wear my helmet & ride safe for the years left to me. We all gotta decline & die, why hasten it! Hard way to create transplant donors. Those deceased don't have a vote..wonder how they would feel in respect. I'm curious if anyone has determined how many motorcyclists do not carry the required amount of insurance as mandated by law. How is this realistically enforced? I rode motorcycles for over 40 years Twice I was in an accident and I believe it saved my life wearing a helmet. This is not just about personal freedom. When some one is injured and can never work again and requires 24/7 care who pays for it. I visit hospitals, care homes nursing homes every day and some of those people are there because of these accidents. Peter Pettelia sponsored or co sponsored this bill. They were afraid Mi. would loose some tourists if we required them to wear a helmet. Stay home then. Love to hear from you on this one. Some people say there is no cure for stupid. Maybe they have a point. R. L.
Unless specifically opted-out, all motorcyclists without helmets should be organ donors. That way their stupidity would save other's lives. We are paying for these debilitating injuries in our insurance premiums already. The only state that requires it. Let's wake up Lansing! If you wish to have these people ride without safety, we should not have to pay for them! Those guys playing out their Easy RIder fantasies deserved their Darwin Awards, but let's give ABATE and Casperson at least an honorary mention. In that cold-blooded vein, it would be interesting to know how much the extra DOAs offset the cost of care for the extra TBIs. As the survivor of a catastrophic motorcycle accident, from which I'll have pain for the rest of my life, I'll say this; if you ride and don't wear a helmet, you're not too bright! Someone coming from the opposite direction made a left turn in front of me, and we collided almost head on, with me going 45mph! He was on the phone, and looking for an address to deliver a pizza to, and apparently too busy to notice that he turned right in front of me! I blacked out as we collided, and flew 70 feet through the air, landing between two stopped cars, on my stomach! I came to, and the first hospital they took me to couldn't stabilize me, so they took me to Beaumont, in Royal Oak, where I had six surgeries in the first week, and have had five more since, and this was almost two years ago! My surgeon told me that if I had not worn a helmet, I would have died! I have steel plates in both of my arms, my left elbow took four surgeries to almost fix, I fractured both my writsts, both my kneecaps, and broke my pelvis in five places, among other things. I'll revise what I said about not being too smart; you're an idiot if you don't wear one! Motorcycling is inherently dangerous, and I rode with my eyes constantly scanning for potential dangers, but I couldn't, and you can't, predict the actions of others! It isn't about your freedom, but it could easily be about the end of your life! So can I ask how much of your medical bills were covered by the catastrophic claims fund? Glad you didn't die. Safety gear does work! A line graph of the number of deaths shows no trend at all; however, there was an uptick in 2015. The proper focus is on head injuries, their seriousness, and the medical costs of caring for more serious injuries. The freedom to ride without a helmet does not create a "positive right" to unlimited medical care at public expense. If motorcyclists ride without a helmet, they should be charged more for insurance. Similarly, those who talk and/or text on cell phones while driving should be charged more. Ideologues are seldom if ever persuaded by evidence; indeed, contrary evidence hardens their views, so rational argument that opposes their view is wasted breath. Too many of the state's legislators are ideologues. Number of deaths on motorcycles each year: 2005: 122 2006: 105 2007: 124 2008: 118 2009: 97 2010: 125 2011: 109 2012: 129 (law went into effect about halfway through 2012) 2013: 128 2014: 107 2015: 138 That's not much of an uptick, especially if you consider that motorcycle registrations are up. I could not find miles driven on motorcycles, but I'd bet they are up significantly. So the fatality rate is well within the normal range. I'm not interested in riding a motorcycle, with or without a helmet, but people should be free to do so. The average for years 2005 through 2011 is 114. The average for years 2013 through 2015 is 124.3. That is a difference of 10.3. That doesn't seem to be within the "normal" range. No doubt motorcycle registrations are up over the period 2005 through 2015, and it would have been extremely helpful if Mr. Skorup had provided those, so appropriate adjustments could have been made. But it seems extremely likely that motorcycle deaths have increased significantly since repeal of the helmet law. Mr. Skorup says, " I’m not interested in riding a motorcycle, with or without a helmet, but people should be free to do so." Indeed, people should be free to do whatever they like, but only as long as they don't impose negative externalities on other people; something it is very likely they have done in this case. The $20,000 in additional insurance they are required to carry is woefully inadequate to avoid doing that. The negative externalities of which you speak aren't imposed by the cyclists; they're imposed by the legislature. The other elephant in this room is Michigan's only-in-the-county vehicle accident insurance laws. No other state forces everyone else to bear the lifetime care costs for someone who willfully refuses to use proper safety equipment. see http://www.AAA.com/InsuranceInfo for more on this. Helmets V/S texting while driving? over 6000 killed yearly while texting...over 28,000 maimed for life while texting...Now Why isn't their a law for texting while driving a car?????????? Please comment on that one. You're right that texting while driving is very dangerous, but you're comparing national annual death and injury statistics to MICHIGAN motorcycle accident statistics. Let's do some farmer's math on this one and see that 6000 deaths a year nationally from texting works out to approximately 120 deaths/year per state... which is the same as the number of deaths for motorcyclists in Michigan, and yet there are thousands more automobiles than motorcycles, so the percentage of deaths per driver is MUCH higher for motorcyclists than for automobile drivers. You're comparing apples and oranges, and also, just because BOTH are dangerous doesn't mean we shouldn't ignore motorcycle deaths and injuries. I apologize for using the word stupid. This whole issue is not just about freedom but the impact of you decisions on others. We all pay in one way or another when some of us make the choices we make. That is in some way responsible for what we pay for insurance. But many choose to have none. peace R.L. This is terrible. I cant believe I have to pay for all these obese people that eat and smoke their way into cancer and disease and end up burdening the rest us (the healthy responsible citizens) into paying for a lifetime of costly medical care until they die a long slow (costly) death in the hospital. I live healthy. Why should I pay for those people? They have a choice also right? Isn't that what we are talking about, public health? lol This insurance argument is such BS. As soon a we have a good riding season the safetycrats jump all over the law and cry about the mass killings. Its a joke. Where was the outrage in 2014 when deaths were at 107, far below average. I assume insurance rates went down also after that right? ABATE should have taken credit for saving lives in 2014 which is essentially the same argument AAA makes when they try so hard to be credible in a good riding season and deaths naturally go up. The insurance industry is generally respected but AAA complains so often that the legislature doesn't pay attention anymore. There are still hundreds of deaths a year from head injuries even with seat belts. Why not require helmets in cars? Isn't one life too many? Why not ban talking on cell phones or eating in cars? This behavior is very irresponsible and I don't want to pay. Can someone tell me when insurance rates ever went down? This comment is a perfect example of the type of argument I commented on before. A mix of misdirection, dismissal, orthodoxy and inability to be reasoned with. AAA is one of the most influential of the nation wide insurance companies but concerning issues like this has less influence with the tea party types now dominating state legislatures like here in Michigan where orthodoxy about vaguely defined "freedoms" impact important public policy. Then there's the silly "safetycrats" whine about the subjective correlation between a good riding season and increased death rates, if ABATE's awareness program were enough then the rates would go down not up. Clearly rider training and public awareness is not enough. Finally there are the various arguments about death statistics and vehicle insurance. The argument is mostly about the wrong insurance and the wrong costs. A vehicle accident regardless of type is about damages and repair. Your bike has the same amount of damage & cost regardless of your own condition and unless you have a health rider on your policy doesn't cover injury costs. This is about health care and insurance costs rising due to types of injuries from riding without safety gear. Wearing a helmet or wearing a seat belt is as much about degree of injury as it is about a possible death. Just as medical care has diminished the actual death rate among military personal while leaving an increasing rate of life time disabilities including closed head injuries that same level of care is saving more injured riders while leaving life time injuries and their consistently rising costs both financially and socially. This is a version of the same argument we once had about seat belts, airbags and other vehicle safety issues, yet since these improvements we have seen a dramatic decline in death's and injuries because of them. Personal choices carry a societal cost and the balance is between personal responsibility and personal choice and how they affect societal costs since you can't separate the two. Unfortunately we're made everyone responsible to eat the cost of everyone's medical care no matter how risky, irresponsible or stupid the behavior that lead to the injury or illness and lets face if helmet or no helmet motor cycling is multiples of multiples more dangerous than riding in an auto. As someone who believes fervently in personal freedom AND responsibility I'm not sure how motorcycling let alone without a helmet on public roads as the world is currently structured. Are there any statistics on how many riders without helmets were stopped for traffic violations and found not to be in possession of the mandatory additional insurance? When I was stopped by our local police for a minor automobile violation, the police asked for my proof of insurance as well as my driver's license. Our local paper publishes all traffic citations and most of them are for lack of proof of insurance. I have never seen a motorcyclist cited for lack of proof of the additional insurance. I suspect that many out of state motorcyclists have no idea that they have to provide proof of additional insurance when they ride without helmets in Michigan. Perhaps the police might enforce this requirement by impounding their motorcycles until they return with either proof of insurance or a helmet. I have had a motorcycle license for almost 60 years. I never used a helmet in my youth, but neither did anyone in professional baseball or hockey at that time. For the last 30 years I have always used a helmet, even while bicycling. It amazed me as i am sure it did many people when Michigan and some other states repealed their Motorcycle Helmet Laws. Why would any state lawmaker repeal a law put in place that saved one person from death or injury in an accident let alone an average of 14 people saved per year? What makes any of our lawmakers take action on behalf of a special interest group like Abate to rescind a law made to protect people?…Only money, perks, or votes promised to those lawmakers by the special interest group, there can be no other reason. It seems the day when our lawmakers passed laws because it was the right thing to do, or because it was in the best interest of the people, has long ago disappeared. I also know that “common sense” is in short supply these days but it does not take a genius to understand that helmets save lives and prevent devastating injuries. That’s the same reason why helmets are required to be worn by everyone playing football. And they are now finding that helmets need to be upgraded for even better protection from injury. Brains do not heal after injury and a brain injury is devastating to the injured and also the injured’s family and loved ones. Most victims cannot work after a brain injury, it is a life changing event not only for the injured but also for the family who may then be caregivers for the rest of their lives. And it costs the public, $20,000 for insurance is nothing. The medical bill alone could be much higher than that and go on for years. I rode motorcycles too but only while wearing a helmet, and I see no reason not to wear a helmet. All motorcycle helmets should have to meet strict standards and provide protection for the head and neck. No useless little military cartoon helmets allowed. I have heard the excuses and it is all BS. When they cry freedom they just do not want to be told or forced to comply with another law, or another restriction to “freedom”. I too have questioned, if helmets use is optional, why not also make car and aircraft seatbelt use optional? If they removed the requirements for seatbelts and airbags in cars, they could cost thousands less. I am being facetious here!!! Years ago, before seat belt usage was mandated by law, I too was a macho man and did not want to wear a seat belt, then i saw a video of a car that was purposely rolled with an unrestrained crash dummy in it and recorded in slow motion. In the first roll the dummies arm came out the window and the car rolled over it. On the second roll the dummies upper torso was thrown out and the car rolled over it. On the third roll the dummy was ejected out the window. I have worn and made sure my family wears a seat belt in all seats from that day on. You can be macho and free, or you can use your head to think with! Laws that make our activities safer should not be “sold” or rescinded for money, perks or votes. The helmet law should be reinstated. as quickly as it was rescinded. "The helmet law should be reinstated. as quickly as it was rescinded." Likely, it will be. It took decades to be rescinded. I cant understand why someone would think being told to wear a helmet is excessive. Im glad i see alot of common sense in this forum as all of you would wear a helmet with or without a law. I dont even like riding my bike on my driveway without a helmet. Just doesnt feel right. Here in ontario and im sure in the usa most of our premiums are for accident benefits. I just couldnt imagine how expensive insurance would be if we had a choice on helmet or not. Id say 95% of my premiums are for accident benefits. Don't fret as there is an easy solution. Quadruple the idiots cost of insurance so we don't pay for their selfish stupidity. Those who elect no insurance leave them by the side of the road to die or like road kill for their families to pick up or ignore for the stupidity they displayed without regard for their family and friends. Simple, effective and reflective of their attitude towards their own life and life long disability. Thank you Robert Mack. Who do you think the law makers sold out to? ?????????? I think I know. R.L. "All drivers in Michigan, except motorcyclists, must have Personal Injury Protection coverage that includes state-mandated unlimited, lifetime medical coverage. While motorcyclists are not required to purchase such insurance, if a motorcyclist is injured in collision with a car, he or she can claim against the car's driver for the injuries. - See more at: http://www.gongwer.com/programming/news.cfm?article_id=551110110#sthash...."
Thats not quite true. All motorcyclist must purchase MCCA insurance. 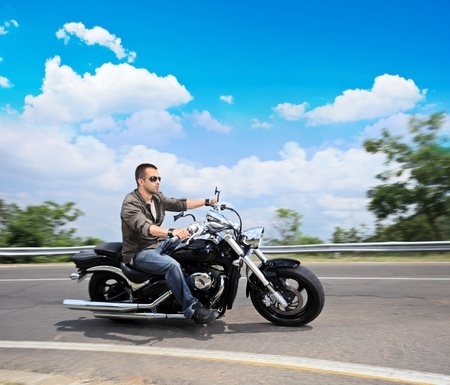 The State of Michigan does not recognize a motorcycle as a vehicle, which means in a motorcycle accident where no other vehicle is involved, the motorcycle can not collect from the MCCA fund. Even though the motorcyclist has purchased insurance in the fund. In a crash where a vehicle and a motorcycle is involved, the motorcycle can then collect funds from the MCCA. If a motorcyclists is over 21, has the correct training, and wishes to legally ride w/o a helmet, then PIP insurance is required. How about two insurance rates: one for with helmets and for without? There already is that requirement. The Skilled Motorcyclist Association – Responsible, Trained and Educated Riders, Inc. (SMARTER at www.smarter-usa.org) supports all-rider helmet laws as a scientifically proven countermeasure to the injury and death sustained in a motorcycle crash. The evidence is undeniable and overwhelming that helmets do the job they are designed to do and when an all-rider helmet law is in effect more riders wear a helmet. Much of this 40 plus years of evidence is posted on our web site. In addition to the excellent Spectrum Health Butterworth Hospital research which tells us repeal was a mistake, the trend in the raw data supports the conclusion that repeal has resulted in increased fatalities. Yearly raw data, without a research design that controls for factors other than helmet law, cannot prove or disprove the impact of repeal. However, comparing the data 2008-2011 (the 4 years before the helmet law change) to 2012-2015 (the 4 years after the helmet law change) Michigan has experienced a 15.22% decrease in the ratio of crashes to fatalities - in other words fewer riders are surviving their crash. Comparing the same two 4-year periods, the number of deaths per registered motorcycle has increased 7.4 percent. I wish to thank the helmetless motorcycle rider whose family donated his liver to my daughter. I am forever grateful to his family for their gift. My daughter lives because he made a silly decision to be "free". The Washtenaw County Medical Society introduced a resolution to reinstate the Motorcycle Helmet Law at this spring's Michigan State Medical Society House of Delegates. It passed overwhelmingly. Helmets save lives! So Michigan physicians will be lobbying the legislature on behalf of helmet requirements. To repeal the helmet law was just another example of our moron of a governor caving to a ridiculously small special interest group. Abate consists of a miniscule portion of registered riders. On top of this the data that is presented is not really representative of the actual situation. No one has presented the fact that before the repeal of the helmet law a vast majority of those currently riding without helmets never really wore them in the first place. Most of those wore what I would call "toy" helmets with a DOT sticker they bought at the local bike shop. Those so called helmets provided no more protection than a plastic bag on their heads. I believe that statistics would show that there is absolutely no change in the fatalities or severe brain damage cases in that particular demographic group. If you could isolate that group from the statistical analysis I think you would find even more damning results. The statistical group that normally wore real DOT or SNELL certified helmets before the law was repealed and now choose to not wear one would provide a much more realistic account of the effect of the helmet law repeal. I know this would be nearly impossible to do, but I think it would show a huge spike in deaths and severe head injuries. Have you ever seen anyone ever in any kind of motorcycle competition without a helmet? It is just dandy that the cyclists are required to carry $20,000 medical insurance. That might cover the first 20 minutes for emergency room care. I certainly hope that these helmet-less "freedom riders" are excluded from our super generous no-fault life-time medical coverage!!! There is no reason that these "freedom loving" riders should impact the insurance rates of more sane motorists!! There is a cost to freedom...health insurance companies should add higher deductibles and co-insurance out of picket expenses if you get hurt on a motorcycle while not wearing a helmet or in a car while not wearing a seat belt. You have your freedom and share the higher costs with other freedom lovers. It's stunning when people ask to repeal regulations. Why do they think they were created in the first place? Classic illustration of those who don't know history are doomed to repeat it. In this case, it involves sad lives of brain-injured persons whom we all pay for, and their families too are burdened with the sad after-math. Just plain selfish, not freedom at all! And I've been a rider, so it's not like I don't "get it", but it's worth the constraint, just like seat belts are. The other classic saying, "Freedom is nothing left to lose"---if that's your definition, then yeah, but I feel a sad & strange definition. AAA says Insurance costs are rising due ti this law ! To offset the rising costs, is AAA going to increase Insurance Premiums to Strictly Motorcycle owners or to everyone that owns any type of Vehicle? Long-term cost for long-term care goes down as more cyclists die at or near the accident scene. There's plenty of evidence that people are terrible at judging particular kinds of risks. The human brain evolved to deal with the kinds of risks with which our hunter-gatherer ancestors dealt with. These ancestors didn't ride motorcycles. The no action policy option--no mandatory helmet law--allows for natural selection to proceed unimpeded. The genetic materials of those stupid enough to ride without a helmet will be very slowly lost to the gene pool. Advocates of a mandatory helmet law recognize that there are limits to "freedom." The freedom to ride a motorcycle without a helmet doesn't include a "positive" right to impose unlimited burdens on society. If motorcyclists wish to take foolish and avoidable risks, they should be paying for their medical, disability, and other costs, not taxpayers. A similar argument applies to those who foolishly talk and text on cell phones while driving. Few like the nanny state, but sometimes there's need for a nanny to let us know that it's not always "me first." Simple solution that allows both unhelmeted riders and unbelted automobile passengers: If you aren't wearing a helmet or a seatbelt at the time of an accident, you are not allowed to sue anyone, regardless of who is at fault in the accident. Let's put that on the books and see how quickly the helmets go on and the seatbelts click. I wear a helmet and think those that don't are not very smart. But when it is in the 90's, I can appreciate the desire not to wear one. I don't think seat belts should be mandated either. It should be a matter of choice and perhaps an insurance cost matter. If we want absolute safety, motorcycles should be banned and car drivers should wear helmets and have 5 point restraints like race car drivers. TO THE HELMETLESS RIDERS. You don't wear a helmet and maybe you don't care about dying, but have you considered all the possibilities? You usually have an attitude of; 'At least I was doing something I love'. You know there is risk, but what you don't realize is the impact your behavior might have on the rest of your family. What would the financial burden be on the rest of the family if you couldn't work anymore? What would the consequences be to your parents, wife, kids, friends, siblings, close relatives if you don't die and are a vegetable for life? Do you think the kids want to grow up without a parent, or maybe both parents? Maybe your parents would have to sell everything they worked all their lives to help pay for your care. Maybe your wife has to quite her job to take care of you? Maybe the grandkids will come see you when they get old enough, but it too bad you can't play with them. Maybe your kids can't play with their friends because they have to take care of you too. The impact of not wearing a helmet can go a lot further than the physical damage to your body. What mental trauma would you be putting your wife, family and friends through? Once you are made aware your selfish behavior has a much larger impact on loved ones maybe you will re consider your position on not using a helmet. I hope. More lives could probably be saved if all drivers and passengers of ALL Motor vehicles were required to wear helmets. More people die in car accidents than motorcycle accidents. There are people in this world who believe that they need to save everyone from themselves. I for one believe that survival of the fittest is what brought the human race from the caves to where we are now. If a person decides his or her personal freedom is more important than their own well being, that person is probably not bound to bring value to the human race. The healthcare and insurance professionals speak of the cost their ignorance, with good reason. I believe the cost of these people living will create a larger burden on us all. It would be safe to assume that people who are not responsible enough to make smart choices about self preservation, probably will not have planned for their needs in old age. It will then be thrust upon society to drag them along through the rest of their lives. We all pay the burden of social programs as well.